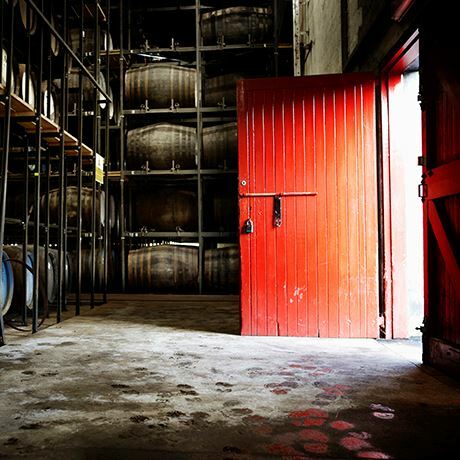 Paris-based spirits company whose Scotch whisky interests are operated by its Chivas Brothers subsidiary. This brings the group’s strategic brands together in three segments: namely the ‘Top 14’, comprising what are termed ‘global icons which aspire to achieve global leadership,’ (Absolut and Chivas Regal), seven Premium spirits brands and five Prestige brands; the Wine segment, with five priority Premium wine brands; and 18 key local brands. Chief among Pernod Ricard’s labels are Absolut vodka, Beefeater gin, Martell Cognac, Havana Club rum, Malibu, Perrier-Jouët and Mumm Champagne, and Jameson Irish whiskey. In terms of Scotch whisky, the market leaders of Chivas Brothers are Chivas Regal, Ballantine’s and Royal Salute blended Scotches, and The Glenlivet and Aberlour single malts. Swiss-born Henri-Louis Pernod established a distillery at Pontarlier in eastern France during 1805, forming Absinthe Pernod Fils. In 1926, La Maison Pernod Fils merged with Distillerie Hémard, founded in Montreuil in 1871 by Ariste Hémard, and Pernod Père et Fils, founded in Avignon in 1872 by Jules-François Pernod. The new organisation was named Établissements Pernod, which became Pernod SA in 1959. Meanwhile, Paul Ricard, the son of a wine merchant who was born near Marseilles in 1909, set about developing his own pastis, perfecting the recipe in 1932, and Ricard went on to become the world’s leading anise-based spirit. In 1974 the firms of Pernod and Ricard merged, and from 1978 Patrick Ricard, son of Paul, became chairman and CEO of the Pernod Ricard group. Under his leadership an ambitious programme of brand acquisition was initiated, including Wild Turkey Bourbon (1981), Jameson Irish whiskey (1988), and leading Australian wine brand Jacob’s Creek (1989). Between 2000 and 2010 close to €20 billion was spent acquiring Seagram Distillers (Chivas and Martell) in 2001, Allied Domecq (Ballantine’s, Malibu, Mumm, Perrier-Jouët) in 2005 and finally Vin & Sprit (Absolut) in 2008. French owner of two Scotch distilleries. French wine and spirits company.